Do you know what an Environmental Epidemiologist does? Check out our Top 5 Green Jobs lists to learn about environmental careers you may be interested in and a few more that you may not have even known about. Read on to learn more about what green jobs have to offer. Job Perk: You might get to drive all-terrain vehicles, snowmobiles or boats on the job. Job Perk: A wasteful planet means you’re always in demand. Job Perk: Always know where the best fishing holes are located. Job Perk: Using mathematics to save the planet. Job Perk: Be the first on your block to know that a storm’s brewing. Job Perk: Managing, handling and discharging explosives. Job Perk: You’re one of the first to know about the newest pandemics. Job Perk: Lots of hiking and even more ice climbing. Job Perk: Make Google Maps look like child’s play. Job Perk: Energy-savingr light bulbs showcase your work. Job Perk: Truly be part of the solution, not the problem. Job Perk: Satisfaction of seeing the direct impact of your work. Job Perk: Turning worthless land into fields of gold. Job Perk: Knowing the real recipe for “fresh air”. Job Perk: Always knowing where to get a great glass of water. 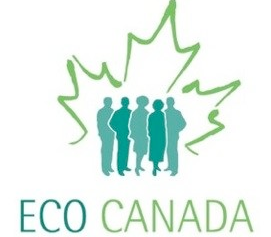 For more information on these and over 100 other environmental occupations, log onto the ECO Canada Student Portal to view our Occupational Profiles.